Tandem® Capsules provide 106 mg of elemental iron that replete both the ferritin (stored) and transferrin (circulating) iron levels. Each Tandem® capsule is equivalent to about 106 mg of elemental iron. 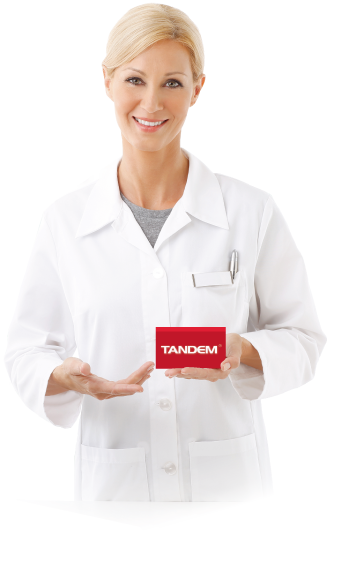 Odorless, tasteless and easy to swallow: Take one Tandem® capsule a day between meals or as prescribed by physician. Like many other multi vitamins, Tandem® does not contain any calcium for optimal iron absorption.